You might be used to slipping on a silver heel to add a little shine to your ensemble, so why not add that shine to your home? 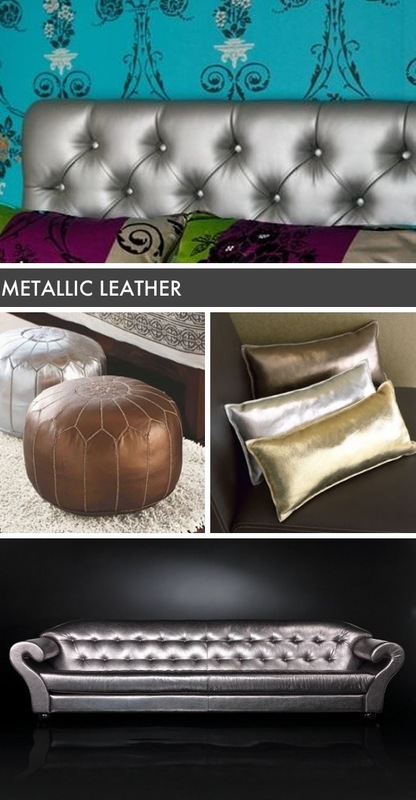 Metallic leathers are a magpie’s dream and can create a new dimension to a space. You can choose to keep the look streamlined with pillows, try a tufted look with a headboard, or add a Moroccan flair with a pouf. Whatever your style, we know your home will shine a little brighter.